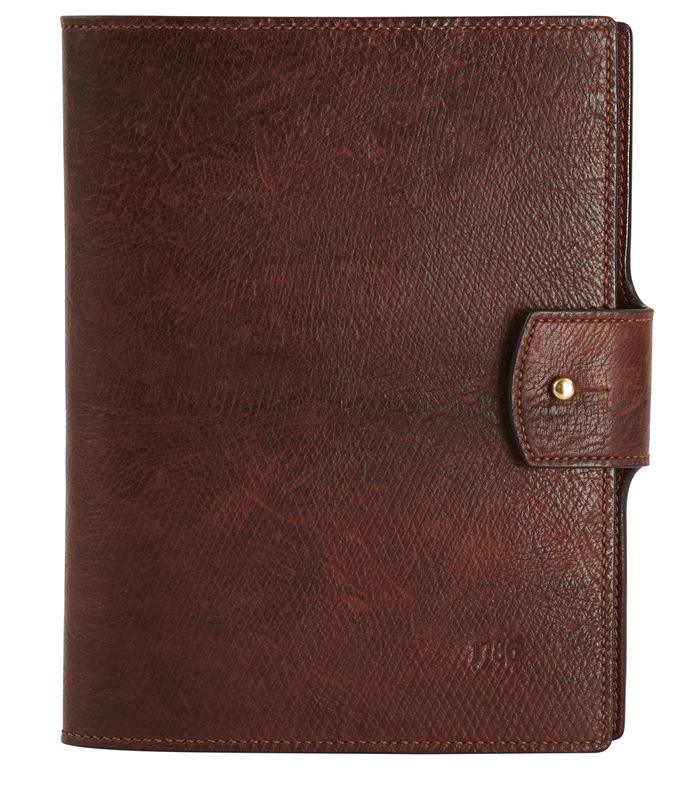 A beautifully grained leather notebook cover that takes A5 refill pads. A pen loop and a gilt fastening stud complete the elegant design. The cover comes with one ring bound, unlined pad in cream. The leather used to make this cover was discovered on the shipwreck of the Metta Catherina, a Dutch cargo ship sailing from Russia that sank off the Cornish coast in 1786. Perfectly preserved underwater, it is a beautiful example of the Russian tanning technique that could never be replicated anywhere else in the world and is lost to this day. The front is stamped with a commemorative date of the shipwreck. Add your initials to make it truly personal.